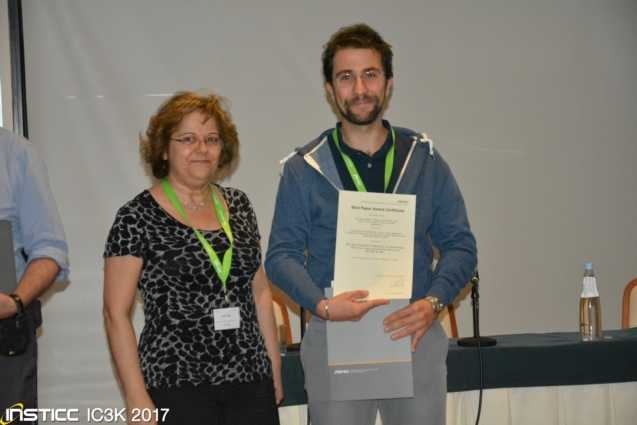 The paper titled “Deriving Realistic Mathematical Models from Support Vector Machines for Scientific Applications” has been orally presented by one of the research fellow of the QEP research group, Dr. Emmanuele Peluso, at the KDIR 2017 (Knowledge Discovering and Information Retrival) conference in Madeira, (Portugal) sponsored by the INSTICC Institute. The scientific committee, considering the required high quality level and novelty of the manuscript, the extremely positive reviews of the referees, the clearness, style and technical level of the presentation hold by Dr. Peluso at the conference, has selected the paper to be awarded with the “best paper award” of the conference. Dr. Peluso is Winner of the Italian Embassy fellowship for an internship at the European Laboratory for Nuclear Fusion EFDA-JET, Culham Science Centre in 2011. Visiting scientist at JET (Joint European Torus, Culham Science Centre) in different periods during the experimental campaigns C31-C33-C34-C36-C36b-C37 and during the JET Analysis and Modelling Campaign in 2017, has scored more than one year of work abroad in multidisciplinary, international and scientific environments. At the moment he is also an active collaborator in ITER related specific tasks. 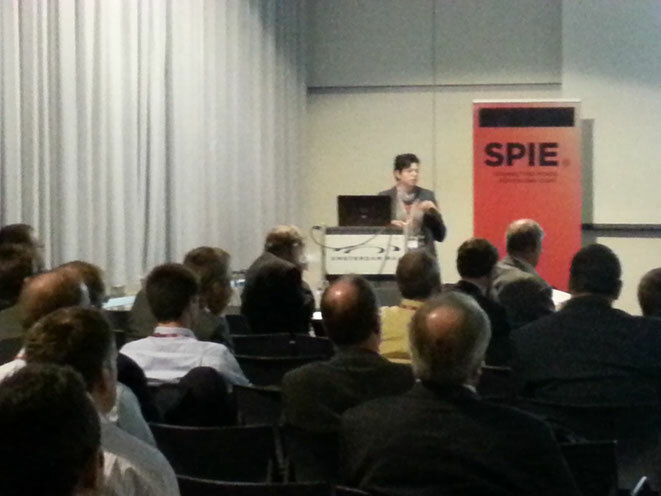 Mariachiara Carestia (PhDc of Quantum Electronics, Plasma Physics and Materials ) has been awarded by the conference chairs with the “best student paper presentation” at SPIE's Remote Sensing and Security + Defence International Symposia held 21-24 September 2015 in Toulouse, France after her oral presentation of the manuscript “Multispectral analysis of biological agents to implement a quick tool for stand-off biological detection” (by M. Carestia, R. Pizzoferrato, M. Lungaroni, J. Gabriele, G.M., Ludovici, O. Cenciarelli, M. Gelfusa, A. Murari, A. Malizia, and P. Gaudio). 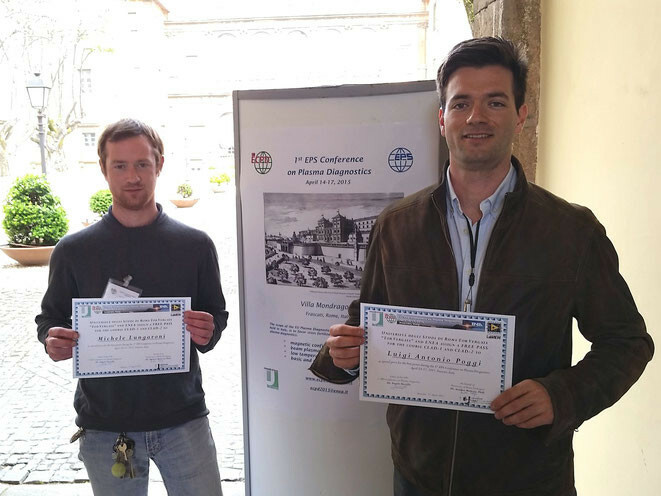 Luigi Antonio Poggi and Dr. Michele Lungaroni (PhDcs of Quantum Electronics, Plasma Physics and Materials at niversity of Rome Tor Vergata) won the prize as best poster that will allow them to attend the course of CLAD 1 and CLAD 2 to achieve the Labview Associate Developer Certification at the 1st EPS Conference on Plasma Diagnostics held in Frascati, at Villa Mondragone, on April 14-17, 2015 organized by ENEA and the University of Tor Vergata. Andrea Malizia, PhD (Researcher at Quantum Electronics and Plasma Physics Research group) won the Sapio Award (Premio Sapio Junior) as best Italian PhD Thesis. The award has been assigned by an International Commitee for his PhD thesis work entitled " Dust mobilization problem in an experimental nuclear reactor. Experiments with STARDUST and simulations to validate a first re-suspension numerical model" developed in collaboration with ENEA Fus. Tech of Frascati (Dr. Maria Teresa Porfiri, Dr. Tonio Pinna, Mr. Rodolfo Borelli), the QEPM Research Group (Dr. Ivan Lupelli, Dr. Riccardo Quaranta, Dr. Michela Gelfusa and Dr. Maria Richetta, Dr. Pasquale Gaudio and Prof. Carlo Bellecci). 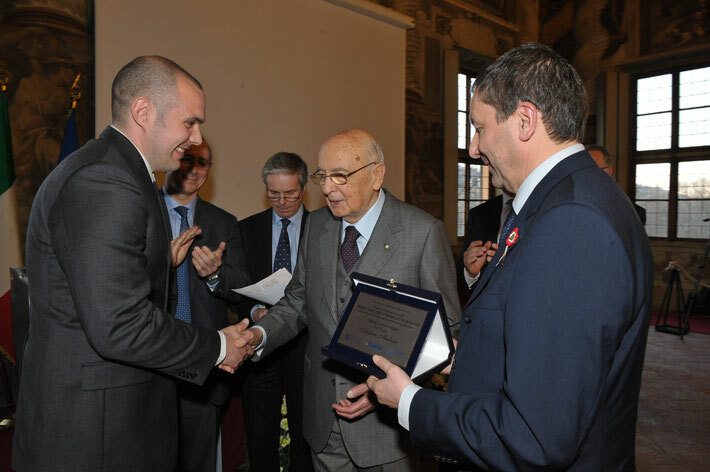 The prize has been given by the former President of Italian Republic, On. Giorgio Napolitano.